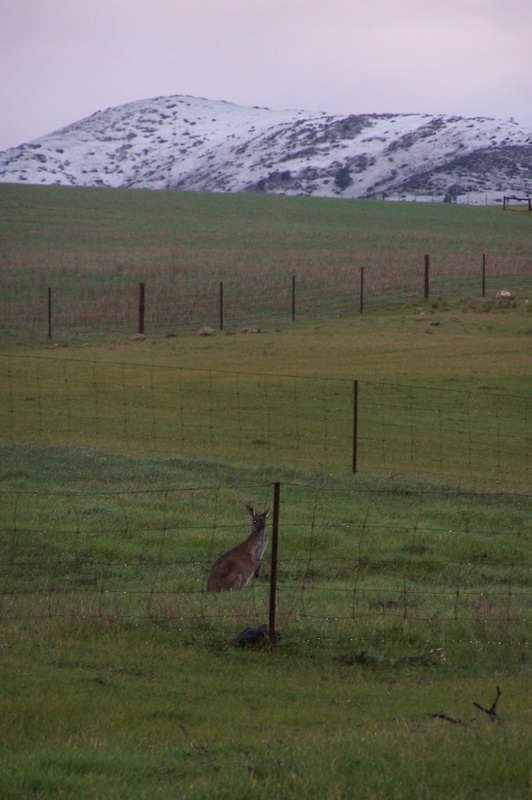 commented on "Hallett seems to becoming the Scotland of the North with the picturesque display of snow on the mounts that form the backdrop of the ..."
Hallett seems to becoming the Scotland of the North with the picturesque display of snow on the mounts that form the backdrop of the town - it gave our town kangaroos a bit of a surprise! However it was no where near as impressive as last year where snow was falling for 4 hours and covered gardens throughout the town... 3 inches! With rain, and road works in progress on the Barrier Highway be careful of conditions, particularly on dirt roads which become slippery.